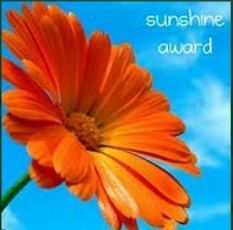 Thank you very much to www.living4bliss.wordpress.com for presenting me with the Candle-Lighter Award and the Sunshine Award. I truly appreciate the recognition! Both of these awards are for a blog or post that is positive and brings light into the world. 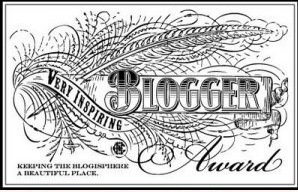 And thanks a million to http://www.petedenton.wordpress.com for nominating my blog with the Very Inspiring Blogger award. I started this “Good News” blog in July 2010 because I was tired of and disgusted by all the negative news and information. I wanted to give people positive news and information. I’m having a great time looking for, receiving, and posting these pieces! Stay tuned!! Whenever you see a blog or post you think brightens the world, give the blogger the Candle-Lighter Award. Recipients can accept or decline. What does the recipient have to do? Simply accept and nothing more! You can paste this image on your blog, if you wish, and you are done! If you wish to honor someone else with a Candle, pass it on, anytime and as many times and to as many people as you wish. Come on and help me brighten up all our lives! Share seven things about yourself and pass the award to seven other bloggers. Seven things about me: 1) I love things creative: writing, cooking, sewing, cake decorating (although I’m no expert). 2) My favorite colors are red, black, and white—all together. 3) I was born and raised in Detroit, and President Obama saved it! 4) I do not like to travel; I can sit in my easy chair and go around the world. 5) My favorite restaurant is Red Lobster. (I should have been born with fins!) 6) I love, love, love humming birds and have a feeder, so I can watch them. 7) I wanted to be a fashion designer in my teenage years, and I’m still fashion and shoe conscious. http://www.lenasledgeblog.com Books, reviews, give-aways, interviews. http://goss-coaching.com/author/gosscoaching A professional writer and wellness coach helping people connect thoughts, feelings, beliefs, and action to create optimal health and a vibrant life. http://www.thesweetsensations.com A baking, entertainment, and lifestyle blog. Fantastic recipes and food photography, too! http://www.rumpydog.com I’m a dog with a unique perspective on human life. http://www.davidkanigan.com/ Lead.Learn.Live. David Kanigan: Inspiration, Ideas & Information. http://callingoftheheart.wordpress.com Spirituality, Psychology, and Political.